Last week Representative Mike Dudgeon introduced a bill designed to dramatically increase the availability of solar energy equipment to the average person. The Georgia Legislature was in recess last week, so instead of discussing new bills we’ll take a closer look at this one. The bill allows individuals to finance the purchase of such equipment through vendors with the finance payments being based on how much electricity is produced by the solar equipment. This is a tremendous step in the direction of giving more people greater access to different sources of electricity. However, in many circumstances, obtaining the equipment could actually be the easiest part in the entire process of generating electricity from the Sun. Private and public land use restrictions play a pivotal role in whether individuals can actually put solar equipment to use on their own land. Why Do We Even Need This Bill? Before getting to the fun and controversial restrictions imposed by Homeowners Associations and local governments, let’s address why a financing bill is even necessary. Why do we have to create legislation to allow people to enter into standard lease and purchasing agreements such as this? Because current law basically grants Georgia Power a monopoly over the state’s electric market. The proposed bill seeks to open the market to allow third-parties, meaning entities other than the likes of Georgia Power, to finance the production of electricity. The bill does not allow you to sell your excess electricity to a third-party, but existing law does requires Georgia Power to purchase the excess electricity if you want to sell it. This current law dates back to 1973 and restricts entities other than regulated utilities from providing electricity to third parties. This means that a system where someone leases electric equipment from a non-regulated utility is practically prohibited. Backlash against this arrangement has grown over the past few years as both environmentalists and tea party activists would love the opportunity to harness electricity from the Sun. Since solar equipment can easily cost in the tens of thousands of dollars and financing is not available, investing makes little sense; it would take years to recoup the initial cost of the equipment. Reasonable financing agreements allow homeowners to dramatically lower their monthly electric bills without shelling out a tremendous amount of money up front. Previous attempts by the Georgia Legislature to allow for financing failed due to lobbying efforts by the regulated utilities industry. Despite support by private property rights advocates and environmentalists alike, the efforts failed because Georgia Power was able to convince some legislators that competition would not be good. It appears that this time around, Georgia Power has agreed to the bill, so odds are good that this bill will pass. While obtaining reasonable financing for solar equipment is obviously important, it could be meaningless if restrictions prevent individuals from installing such equipment. These restrictions are found in both the public and private realm. Municipalities can enact zoning ordinances that prevent or discourage the installation of solar energy equipment, but more often it’s private covenants that prevent the installation of the equipment. A covenant is basically an agreement or promise entered into by individuals that dictates how each individual can use his or her land. Covenants dealing with what can be constructed on the land and the aesthetic aspects of any improvements are often found in deeds governed by the regulations of Homeowners Associations (HOA), though they could also simply be between two or three landowners. While two landowners who agree to a covenant have likely bargained for any such restrictions, it is unlikely that a homeowner ever really bargained for any restrictions when he or she bought a home in an HOA-governed subdivision. It’s always take the covenant or don’t buy the home. 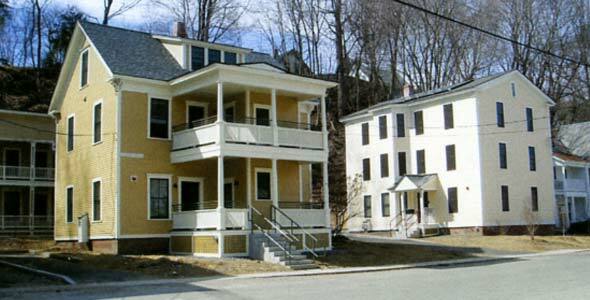 Lots governed by HOAs were created when one owner subdivided a huge lot into smaller lots. In such situations the owner is able to attach covenants to each deed and these covenants “run with the land;” meaning, they continue to pass from owner to owner. This is why newer, suburban developments tend to have HOAs and older, more urban lots are generally free of covenants and HOAs. Covenants can specifically dictate what can and cannot be constructed or they can create private governments, a.k.a HOAs, that create and enforce regulations. Many people own land governed by covenants that don’t allow solar equipment to be constructed. HOAs have fought hard against such equipment due to the lack of aesthetic appeal. A landowner who desires to build a solar system, but is prohibited due to a covenant has little recourse. Generally speaking, unless the HOA has acted in an arbitrary or capricious manner or has historically failed to enforce rules against solar equipment, the landowner will lose. Georgia law strongly prefers to uphold private property rights, but well-crafted covenants and HOA regulations will generally prevail since Georgia law also strongly prefers to enforce private contractual agreements. Why Does Hawaii Always Have to Make Everyone Look Bad? The Georgia Legislature could enact a statute that prohibits the formation of covenants that restrict the installation of solar equipment. A statute declaring such covenants to be against the public policy of the State would prohibit any future covenants or HOA regulations from prohibiting landowners from installing solar equipment. Hawaii and several other states have done just this. Many in Georgia may balk at this idea since it involves interfering with private agreements. However, as previously stated, many homeowners are unaware of all the restrictions and covenants in their deed and with the proliferation of HOA’s in suburban America, those wishing to live in such developments have few choices. Such covenants should hardly be considered fair private agreements. Private restriction are powerful, but they only apply in very specific instances. We are, after all, ultimately governed by the actual, public government. Government policies play a critical role in not only encouraging the installation of solar equipment, but simply allowing those who wish to use such equipment to actually do so. There is no fundamental right to light. 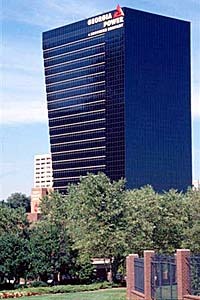 The doctrine of Ancient Lights, which states that the first person to build a structure secures rights to the light hitting the structure, does not apply in Georgia. Basically, there are no inherent rights to light. An adjoining landowner is free to construct a building that impairs the amount of light hitting your building, unless the adjoining landowner is constructing the building for a malicious purpose. This is where zoning and land use rules enter the game. Local ordinances rarely prohibit the use of solar equipment outright, but they can do more to encourage the use of solar equipment. If you own a house or small apartment, but adjoining neighbors are allowed to build much taller structures around you then harnessing solar energy becomes impractical. This extends to the natural environment as well. Since you have no basic right to use light, investing in solar energy is a real gamble if a neighbor is free to plant a large tree or free to forget to the trim the hedges. Zoning ordinances often address the issue of building height directly. Atlanta and many other cities have zones with specific architectural requirements based on the size of the lot and the height of the building. The purpose is to maximize the amount of light that passes to adjoining lots, while also allowing for the existence of taller buildings. Carefully crafted zoning ordinances gradually increase building heights across space and take into account the design of taller buildings when they abut shorter buildings. These rules preserve light generally; they attempt to guarantee that everyone has some basic access to sunlight. This is obviously a good thing since it turns out that humans actually benefit from sunlight, physically and emotionally. However, the rules don’t really take into account the economic aspects of sunlight. Should someone have a guaranteed right to access enough light to generate a fiscally-responsible amount of energy? A zoning code that strictly allows this to occur would probably undermine the ability to create denser areas, since it likely would stifle the ability to place buildings of differing sizes in close proximity. Beyond losing the sustainable development aspect of density, we would also lose the aesthetic pleasure we get from being surrounding by buildings of differing shapes and sizes. Some zoning codes do have solar setbacks, which create more space between buildings to allow for more sunlight. This is a great option for more low-dense areas. Another solution that is becoming increasingly popular is to allow people to guarantee a certain amount of sunlight through a solar easement. Simply put, an easement is an agreement, entered into either voluntary or involuntary, allowing one person (Easement in Gross) or one property (Appurtenant Easement) to benefit from another’s property. This could be in the form of allowing one person to physically occupy another’s property or preventing the other person from using his or her property in a certain way (Negative Easement). Power companies often have easements that allow them to physically invade someone’s property to install power lines or other equipment. 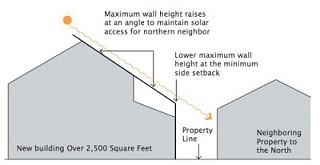 A solar easement simply prevents an adjacent property owner from blocking sunlight passing across the property. The person with the solar equipment gains a right to use the air space above the adjacent property. Georgia actually has a statute, 44-9-22, that specifically allows for the creation of solar easements. Solar easements are voluntary in Georgia, as well as in almost every state that recognizes such easements. This means that you don’t have any “right” to the air above someone else’s property just because you installed solar equipment. You can, however, voluntarily enter into an easement with that property owner to guarantee rights. 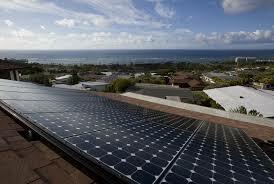 Local governments have many other options available as well to encourage the use of solar energy. These include anything from allowing for the destruction or trimming of certain protected vegetation to easing height restrictions for the purpose of installing solar equipment. Obviously there is a fine line between encouraging solar energy use and the degradation of the feel and look of a neighborhood. Large trees that provide shade and ambiance probably shouldn’t be sacrificed for the localized production of solar energy. 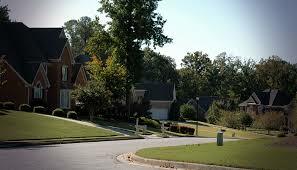 This is of particular concern in neighborhoods with historic designations. Most, if not all, historic districts in Atlanta allow homeowners to install solar panels, but they face severe visibility restrictions that can effectively prohibit any solar equipment. If you’re interested in finding out more about the rules in your area, you can go to Municode, type in your county or city, and search for ordinances related to solar use. Please see the 2015 Legislative Session page for ongoing coverage.